Its all about the relationship Baby! We spend our lives forming relationships. We’re born into a family; we make friends as children and continue forming relationships all through our lives. We fall in love, marry, have children, live our lives, all the time establishing, tweaking, strengthening, changing, ending, and managing relationships. We are in fact relational beings and truly, without relationships we would not thrive. Our dogs are also relational beings. I’m not just anthropomorphizing here, dogs are pack animals. Their descendents relied on the pack and its hierarchy to survive. Through generations our dogs have evolved into companions who work and live alongside us, we share our lives with them, and yes we have a relationship with our dogs. 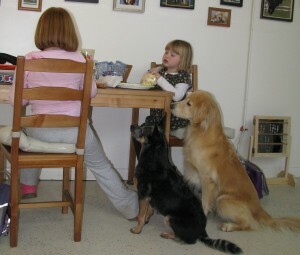 As a dog training instructor, I teach people how to best train their dogs to have good manners. But in all the classes I teach, I also have the goal to enhance and strengthen the relationship between owners and their dogs. Through positive training methods we teach the dogs to sit, do a down and come when they are called, leave stuff alone we don’t want them to have. We teach them to roll over, shake hands, run an agility course, we teach them to want to do the things we want and need them to do. At the same time those positive methods improve and strengthen our relationship with our dogs because those positive methods motivate and affirm our dogs. And, we gain so much as we nurture the relationship with our dogs. Every class I teach, I watch people learn to persuade their dogs to learn what they need them to know so they are well mannered members of their families. I’ve come to realize I watch people evolve. From week 1 to week 6 as they learn to change the relationship they have with their dog, they become more confident, more able. In a small way people learn to be more successful, and while they improve their relationship with their dog. Maybe along the way they learn better ways to enhance their relationships with people. 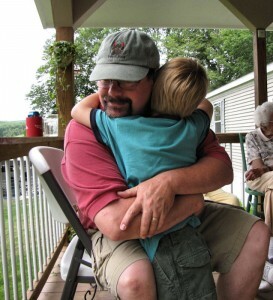 It is true, positive methods work with our children, spouses, in-laws, bosses and our friends. We are so lucky to have these awesome animals who are so willing to share our lives with us. They teach us so much about how to be patient, how to respect other living beings and how to elicit cooperation without being overbearing or running roughshod over others. And you thought you were just teaching your dog to sit!